Rady Children’s Hopsital is now licensed to perform clinical-grade diagnostic testing to decode the DNA of babies and children with rare genetic disorders. Rapid whole genome sequencing is being used by scientists at the Rady Children’s Institute for Genomic Medicine to speed diagnosis and provide precise treatment for patients in intensive care. 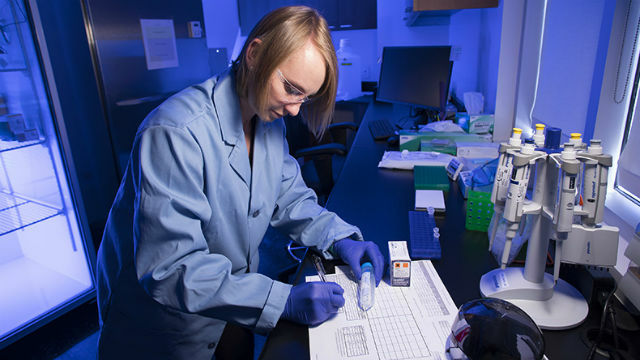 Rady has pioneered the use of rapid whole genome sequencing in newborns and now has one of the few laboratories in the country licensed and certified to perform clinical-grade whole genome sequencing. Rady Children’s Hospital is a 551-bed pediatric care facility providing the largest source of comprehensive pediatric medical services in San Diego, southern Riverside and Imperial counties.